Lafayette County, Missouri; 1917 From Fiegenbaum-Gerber family; all rights reserved. Martin Herman Fiegenbaum and Clara Louise Drewel on their wedding day - 6 June 1917. "Fortyville," Lafayette County, Missouri; date?. From Fiegenbaum-Gerber family; all rights reserved. 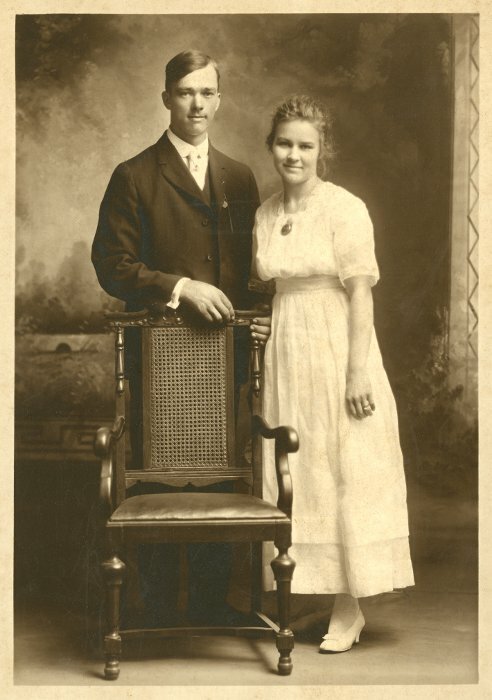 I believe Katherine M. (Maun) Fiegenbaum has added the caption to this photo identifying Martin Herman and Clara Louise (Drewel) Fiegenbaum. 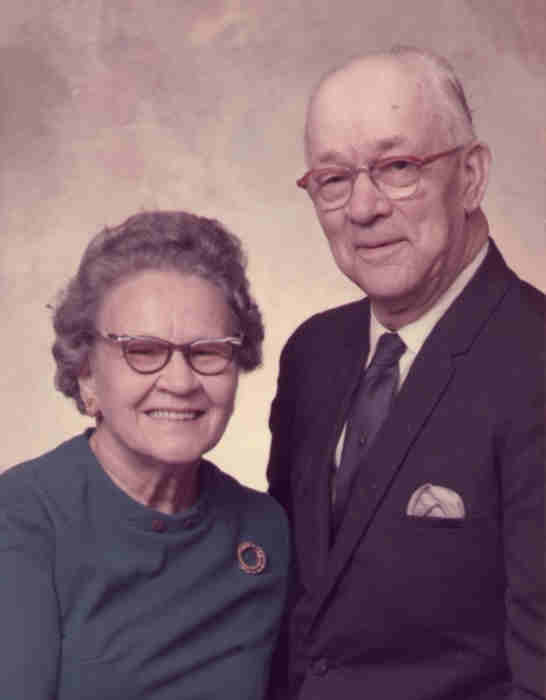 Katherine was married to Martin's brother, John Henry Fiegenbaum. 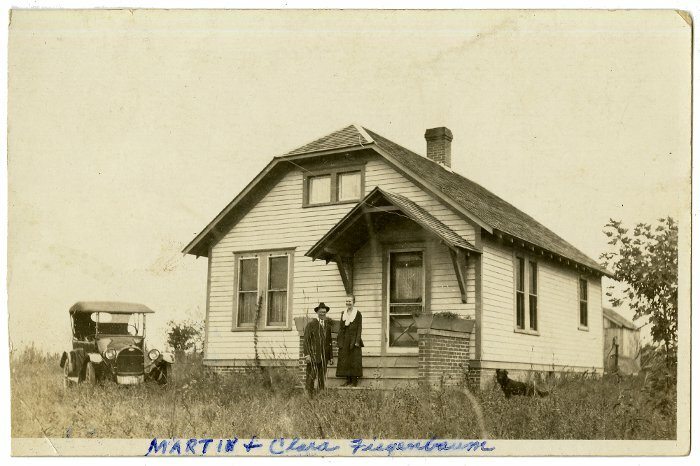 Carolyn C. (Fiegenbaum) Fieker and I have tentatively identified this as Martin & Clara's home in the "Fortyville" neighborhood of Lafayette County, Missouri, approximately four miles south of the town of Mayview. At the time, it would have been located south of U.S. Route 40, not far from the Fiegenbaum-Starkebaum farm where Martin was raised. U.S. Route 40 still exists, but in this area of the state it now runs south of and parallel to Interstate 70, disguised as an access road. The house in this photograph probably would have stood south of what is now I-70 at interchange 45. Exactly when this photo was taken is not known, but it may be possible to assign an approximate date. Martin and Clara were married in 1917. A property map of Washington Township in Lafayette County published in 1920 shows that a "M. & C. Fiegenbaum" were already owners of 100 acres of land on what is now known as Douthit Road - a farm they lived on until 1934. I would guess that this photo was made not long after their marriage.